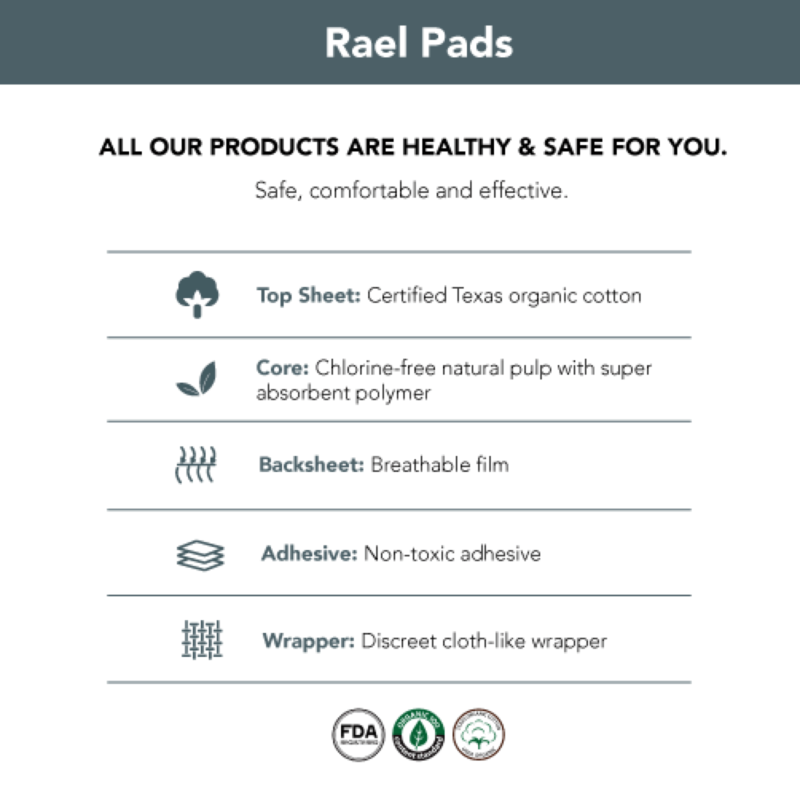 Use healthy pads that actually get the job done. 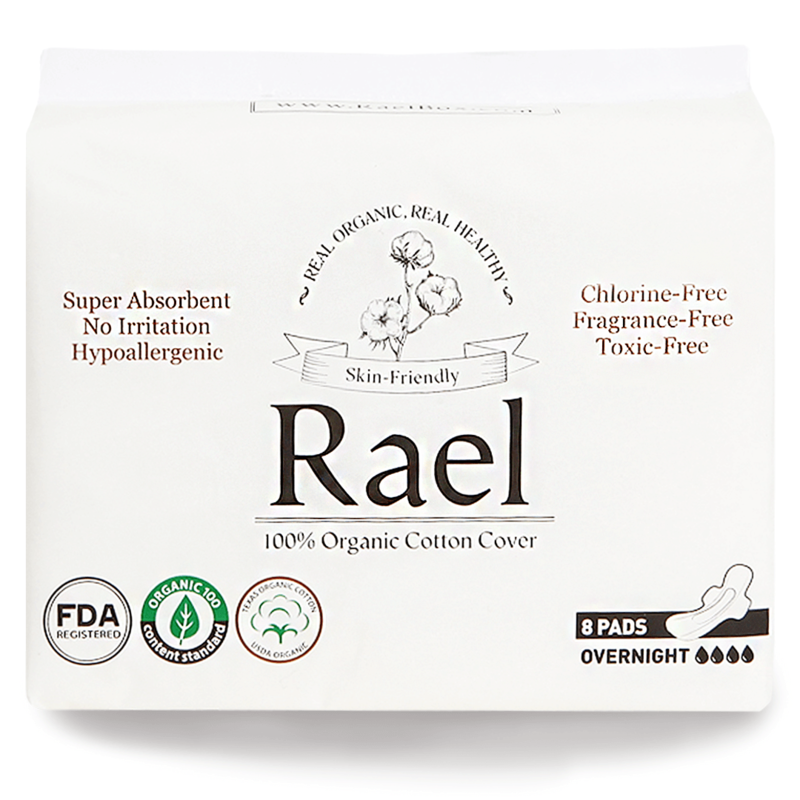 Our organic cotton pads are extremely soft, highly absorbent and entirely chemical-free. You can have it all for $6.90. 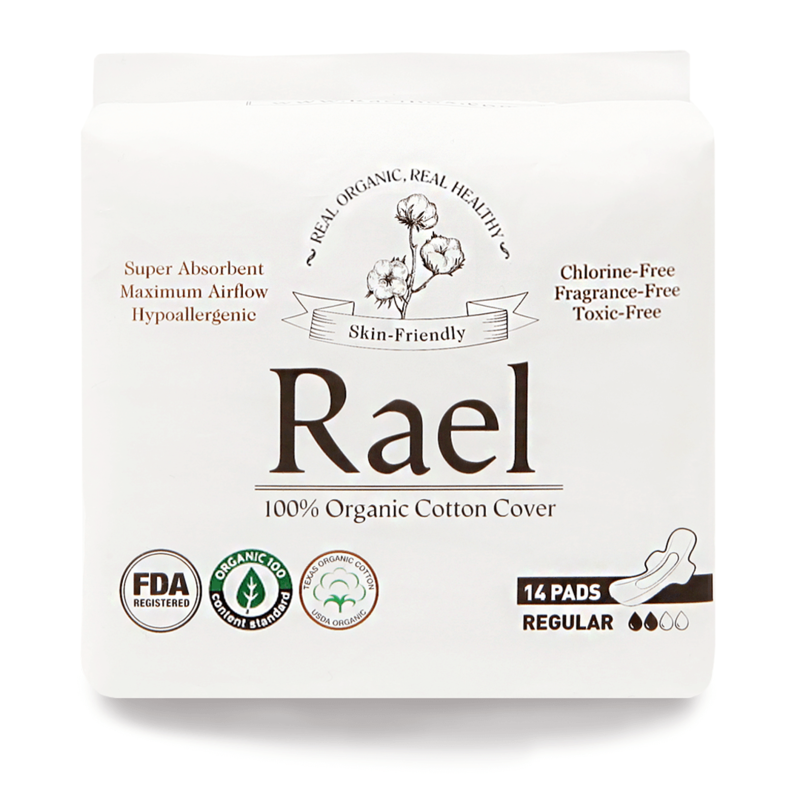 Our ultra-soft organic cotton pads are both breathable and highly absorbent, leaving you feeling fresh and confident wherever, whenever. 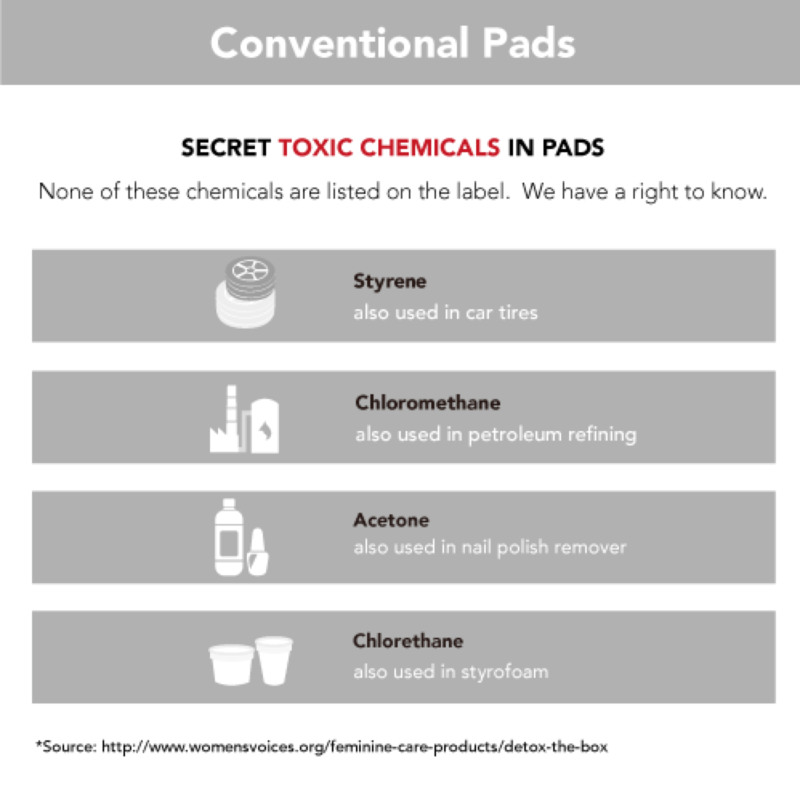 Conventional brands have been found to use toxic ingredients in their period products—ingredients that make their pads look clean but are actually damaging to the body. 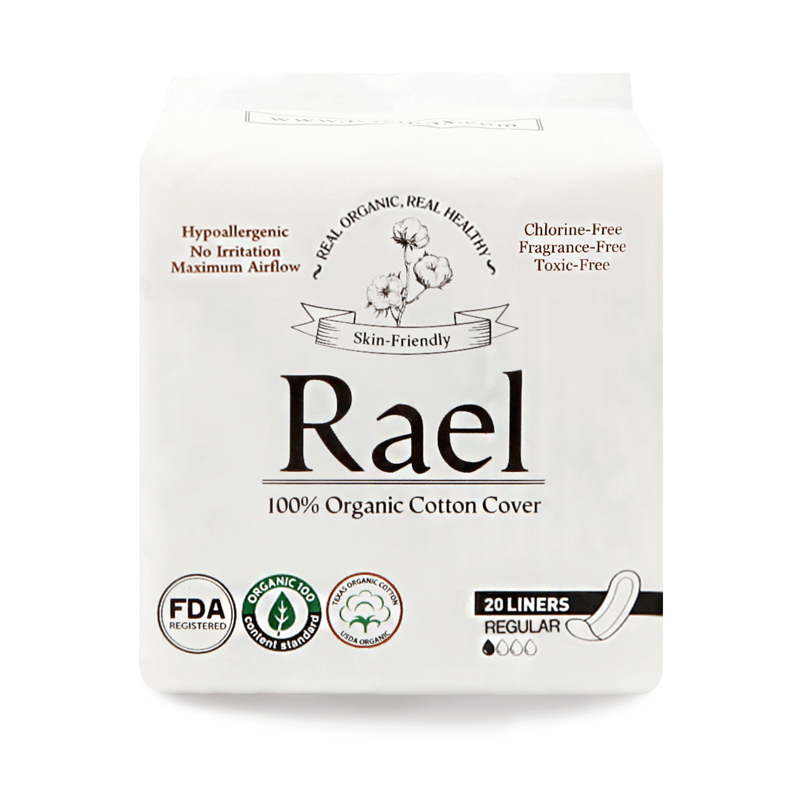 Rael’s mission is to keep you and your body safe with a healthy option that doesn’t sacrifice comfort or performance. I don't get that weird “rash” that I used to get from other pads. They don't feel itchy, they’re very soft! They hold A LOT of blood. Sometimes I just don't have any time to change my pad, but even after 8 hours it doesn’t feel wet and icky. 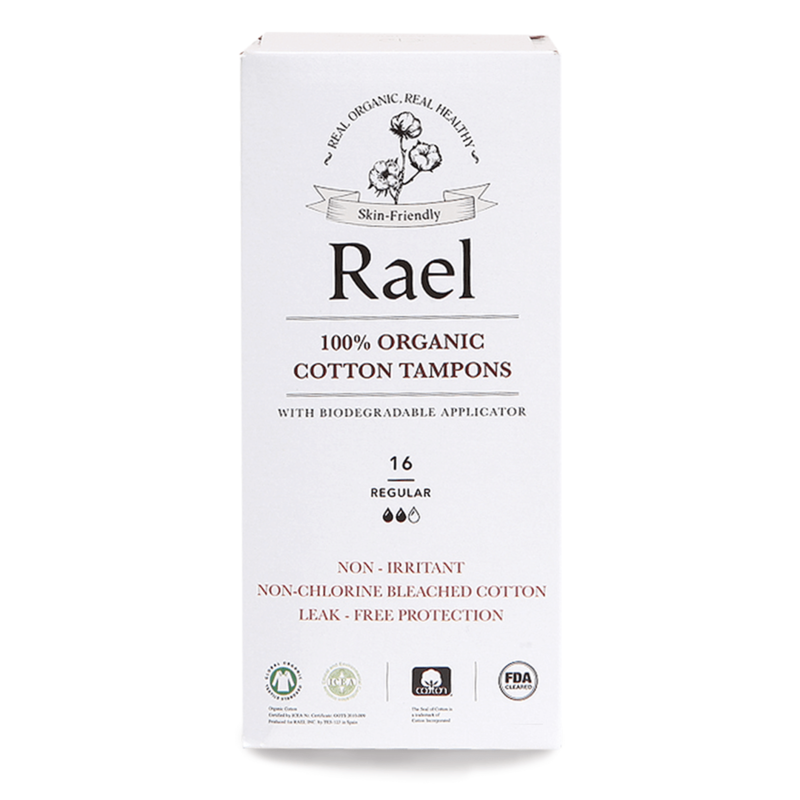 "I had to switch to tampons since I had reactions to most pads. 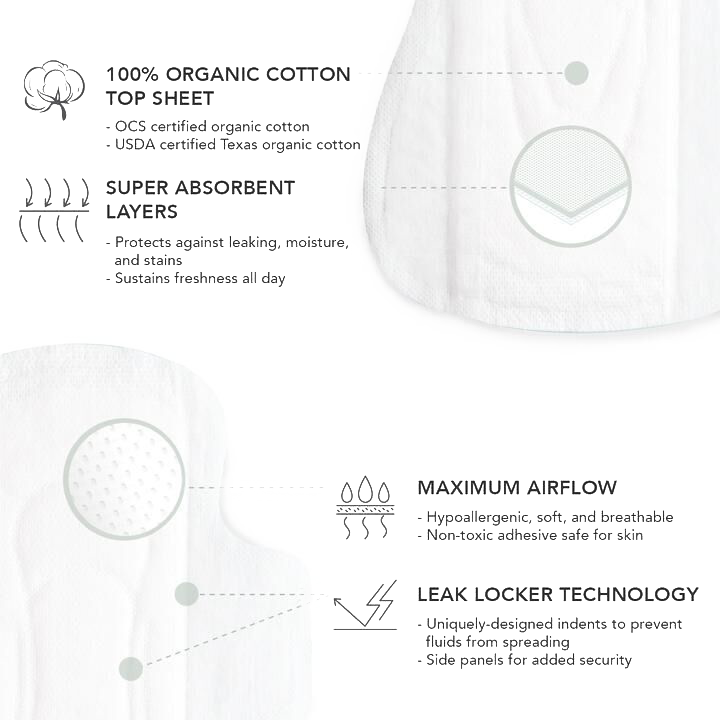 But when I had my baby, I had to start using pads for postpartum bleeding. I looked for and tried different options and the only one that works perfectly is this pad. It absorbs well, it’s soft and I don’t have any reactions to it. I ordered 4 more packs right away!"